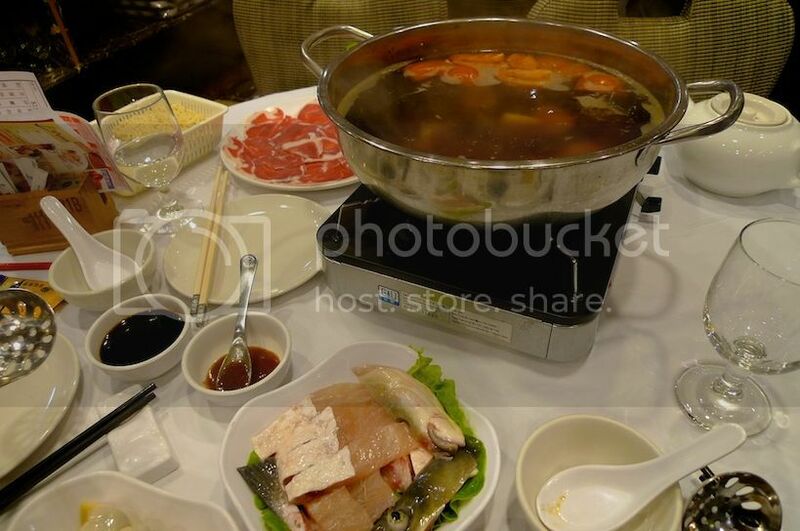 My friend and I had steamboat dinner at Dao Xiang Restaurant located at Nathan Road on our 2nd night in Hong Kong. The next morning, guess where did we go for dim sum? It's Dao Xiang again! LOL! 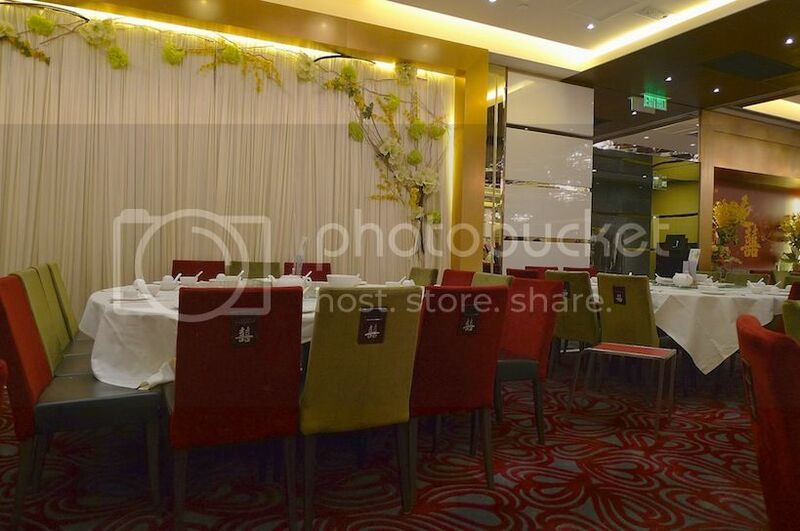 The dim sum restaurant was located on another floor - if not mistaken, a floor above the steamboat restaurant. We were there at about 9 am and already there were a lot of people eating dim sum. However, I did not take any photos except for these two empty tables near us, and the beautiful lights above our table. 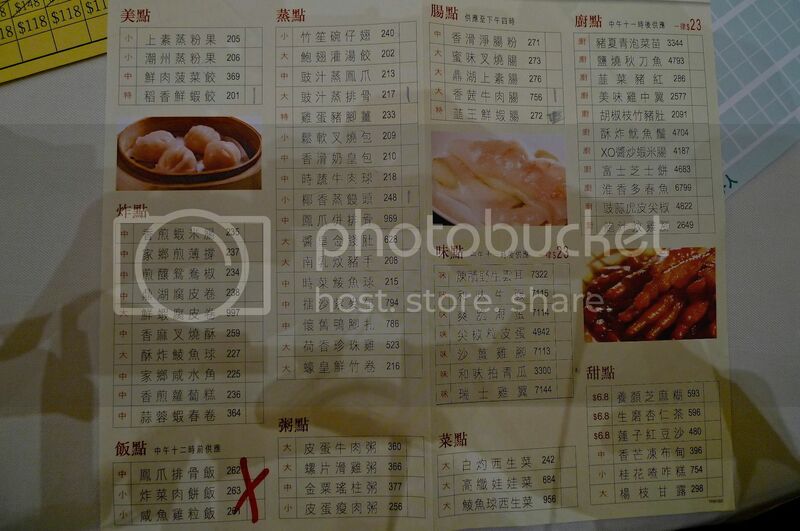 As usual, I was at a loss at what to order since I do not know how to read Mandarin, but luckily my friend knew. 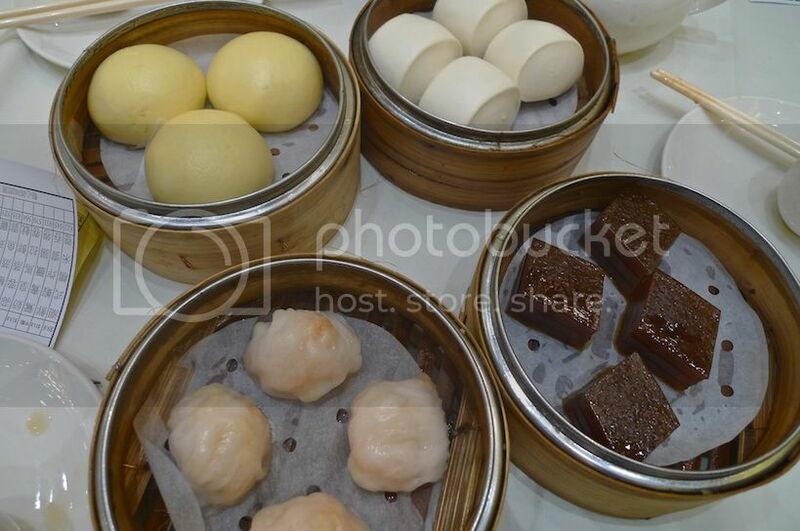 The photos for some of the dim sum helped a great deal, of course. Reading this one would be difficult for me! LOL! 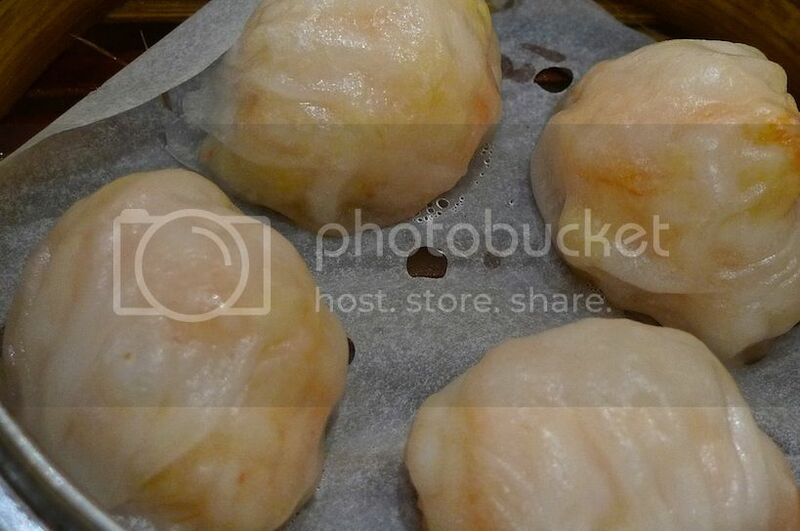 The big juicy har gau or shrimp dumplings were yummy!! I dipped them in a yellow sweet sauce (not sure what was the sauce!) and it was yummier! The shrimps were fresh and delicious! We also tried a very unique dim sum that was made from hoong zhou or red dates. This was absolutely delicious and my top favorite! Not too sweet and with a nice texture too! Next we tried the birds nest buns. Not bad, with birds nest as the fillings. Sounds expensive, but I could not remember how much these buns cost. 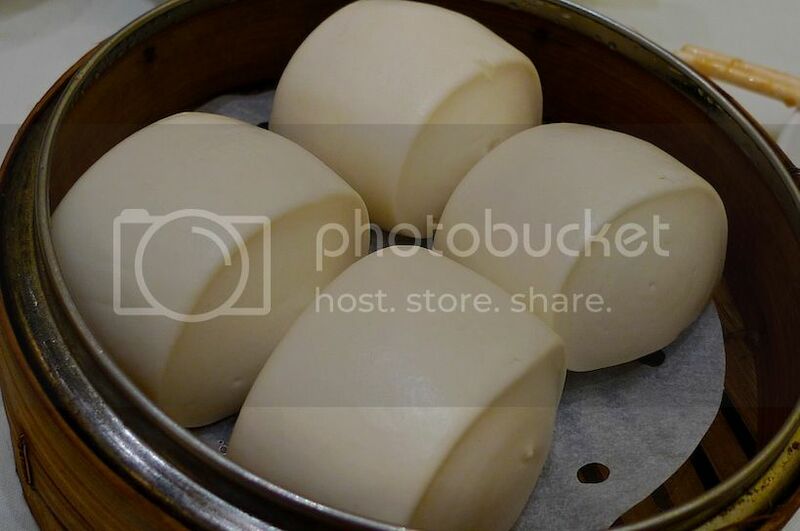 Lastly, we had the man tou, another kind of bun but these were plain and needed to be dipped in sauce. We were only half full, so we ordered some more. 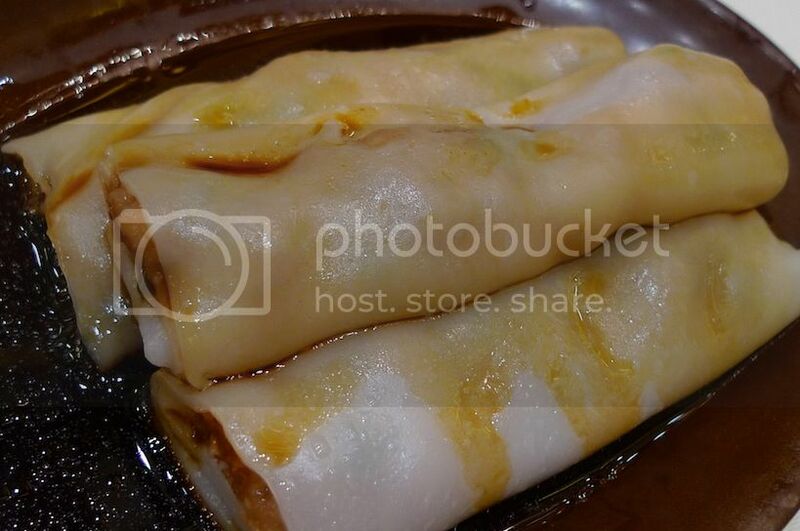 We had BBQ pork rice noodle roll. 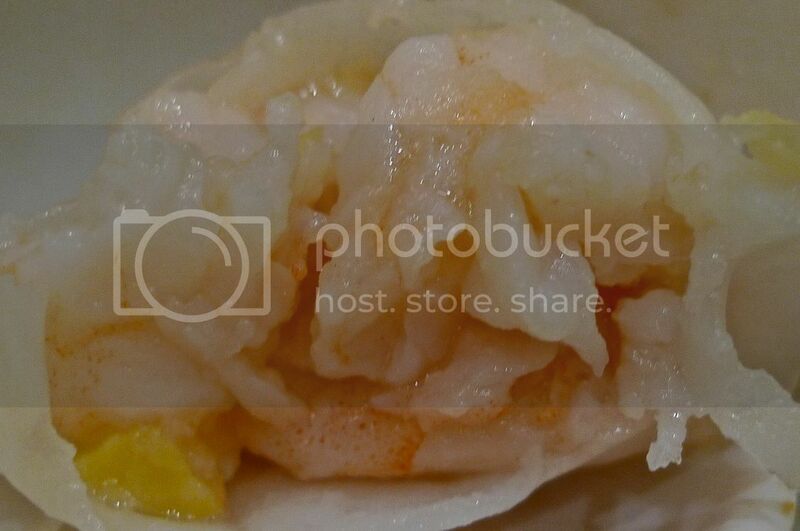 The rice noodle roll was smooth and the pork fillings inside were tasty. 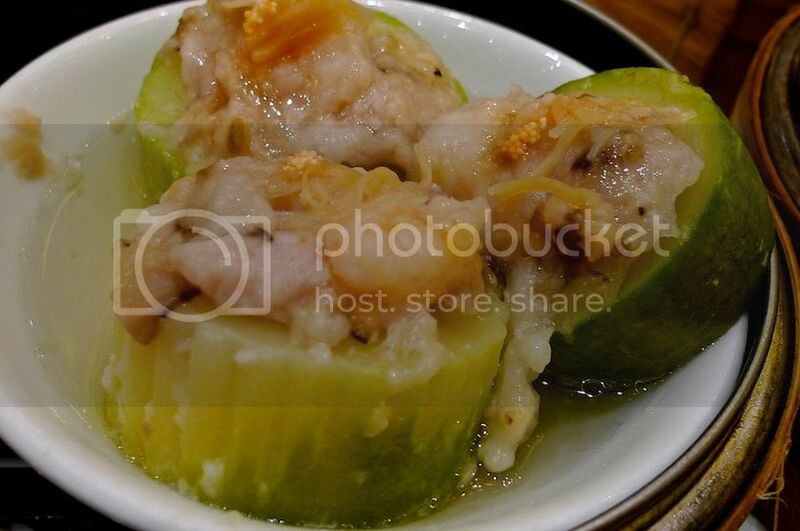 We also tried the steamed jit gua or fuzzy melon with chicken and shrimps on top. Or was it pork? Gosh, I could not remember! Quite delicious! 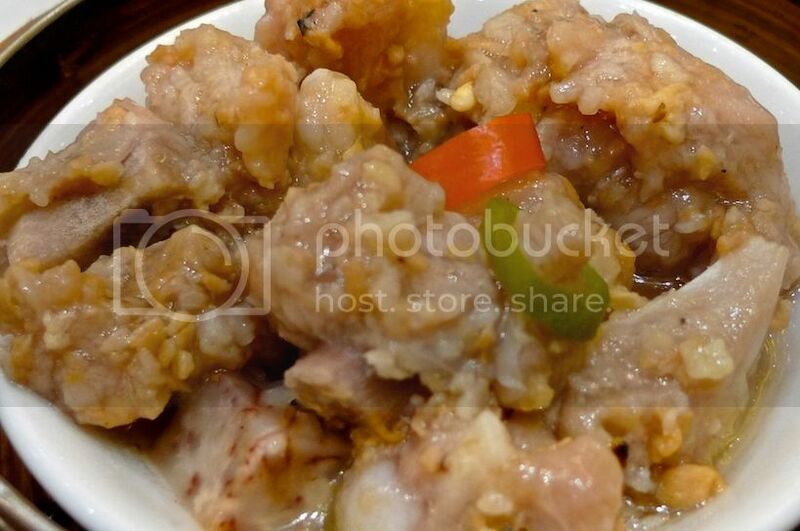 And lastly, we had the pai guat or steamed spareribs. 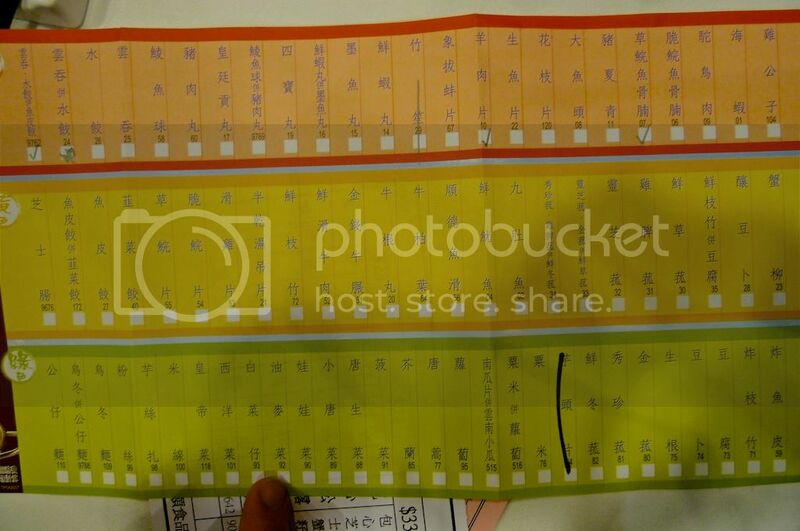 Total bill came to HK$142.50 (US$18.40 / RM56). Not exactly cheap, but the quality were pretty good! There are still many more dim sum restaurants I have yet to visit, so I will definitely try them on my next trip to Hong Kong! 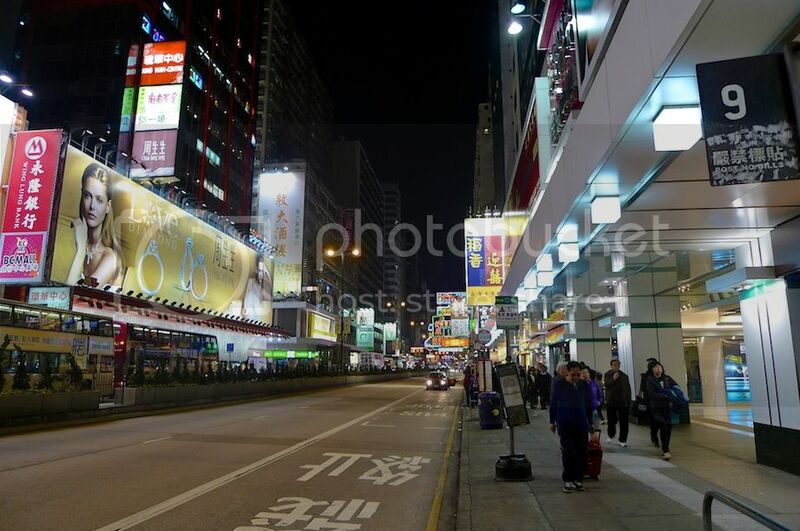 After going on a wild goose chase in Lan Kwai Fong, my friend and I returned to Mongkok. If you have been following my Hong Kong trip posts but are still confused as to how I arrived at this point, let me apologize as I did not blog in chronological order. LOL! Anyway, to help you out, here are the posts so far - in proper order. So after failing to find the roast goose rice at Lan Kwai Fong, my friend and I decided to go for a steamboat meal at Dao Xiang Restaurant. We eventually got to eat roast goose rice during the trip, but that would be a post for another day. 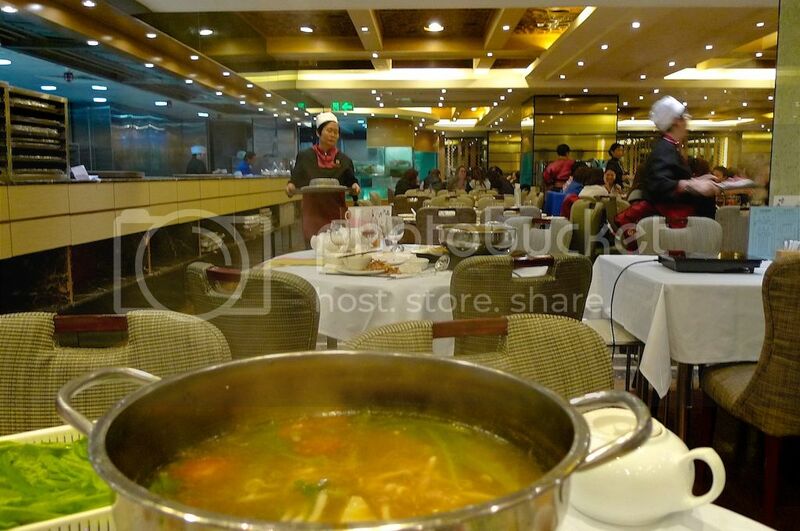 Located along Nathan Road, Dao Xiang serves steamboat meals as well as dim sum. We actually went to this restaurant again the next morning for dim sum. 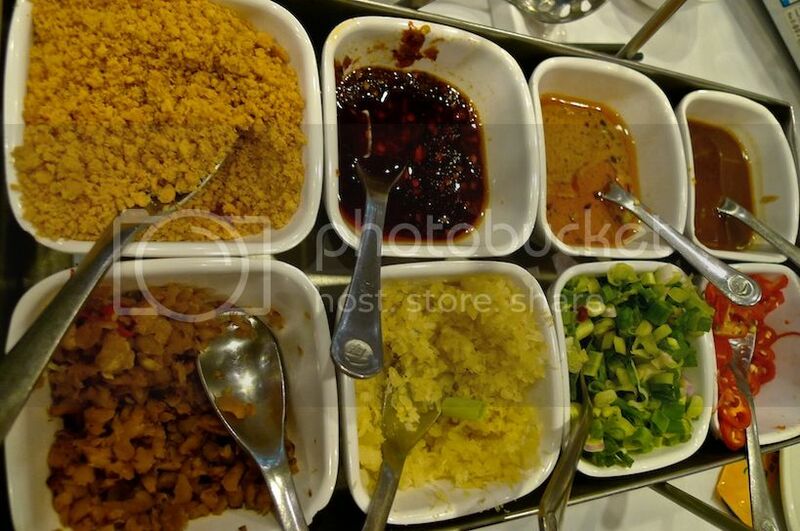 Choosing what you wish to eat is difficult for someone who does not know how to read Mandarin words. 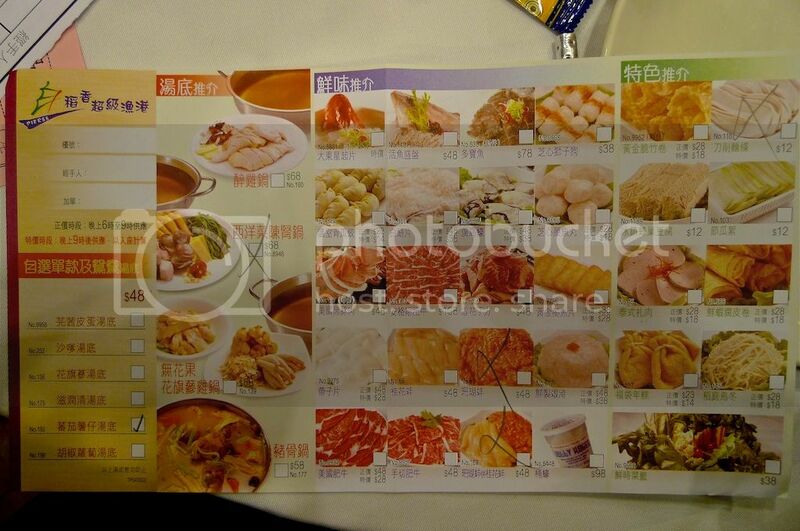 Luckily, my friend knows Mandarin and so we were able to select what we wanted from the menu. Pictures do help a lot! LOL! 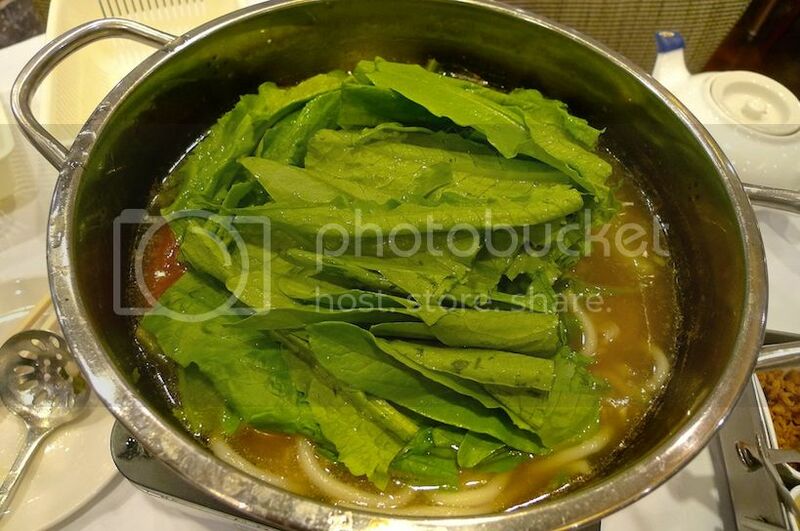 This is our hot pot. 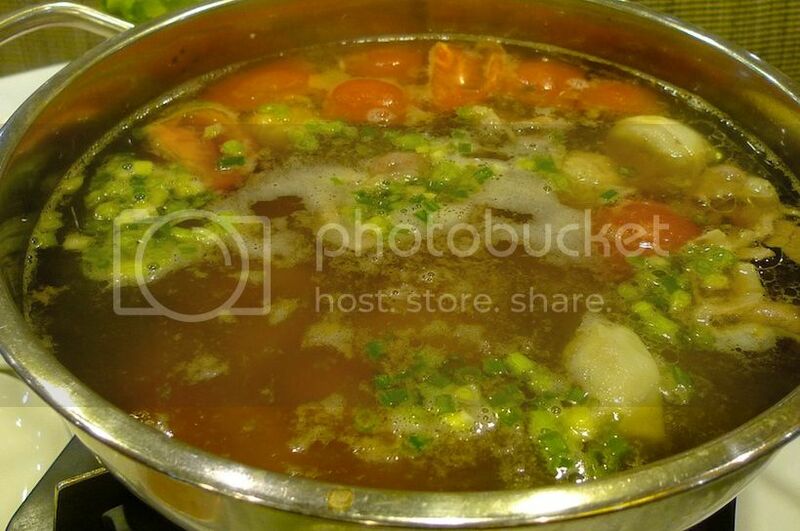 I did not take photos of all the ingredients but I remember having pork meat, noodles and vegetables. Surprisingly, the portion was really large!! I was wondering if both of us could finish them all! We looked at our next table where a couple was dining and were amused to see that they had ordered even more food than us! Good luck to them! Haha!! 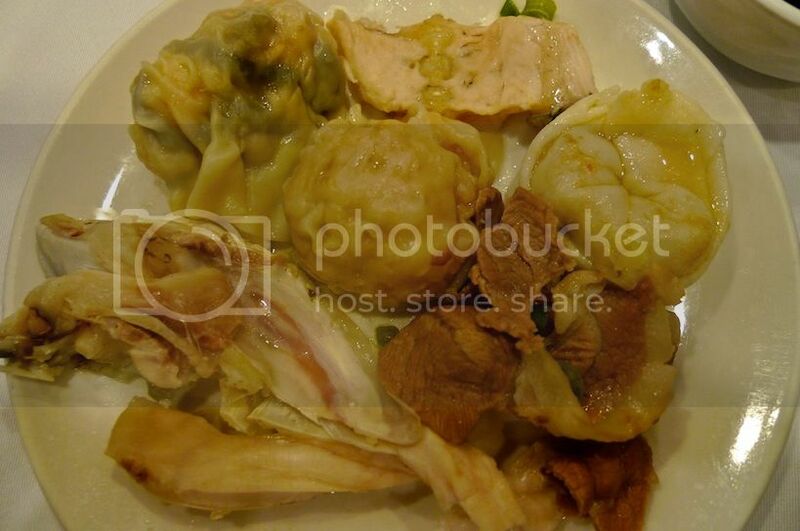 The steamboat meal came with 8 different condiments. 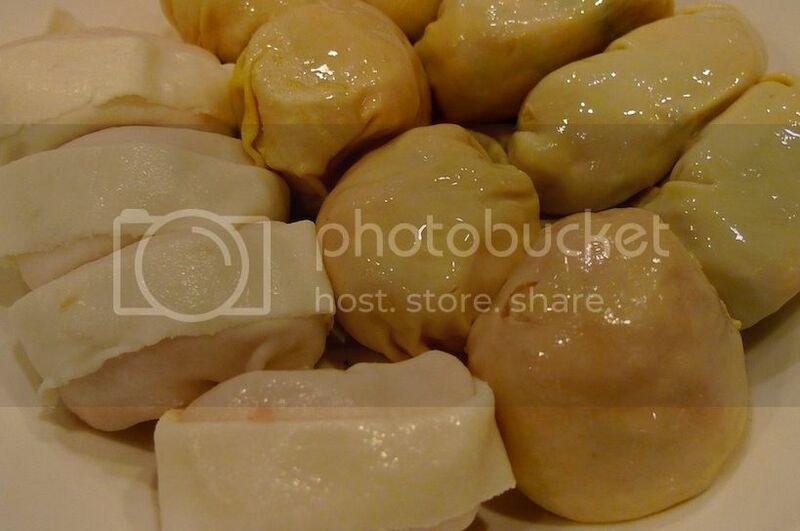 My cooked meats and dumplings. Our table - a little too big for just 2 people! But who cares? LOL! 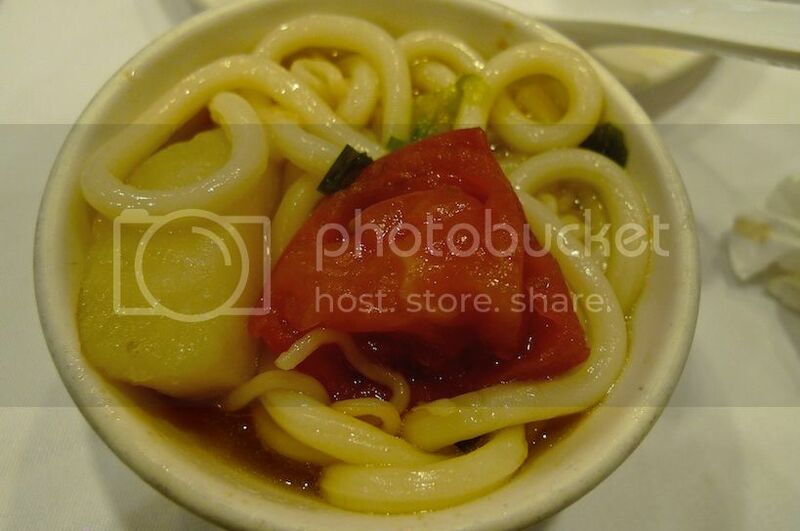 My bowl of noodles with tomatoes and potatoes. I was so full by then I had to stop eating the potatoes. Lots of green vegetables to balance the meat. We spent about 2 hours eating here. At the end of it, both my friend and I were so full we could hardly move! Guess what happened to the table next to us? The couple could not finish even half of what they actually ordered! I could still see raw ingredients left uncooked on the table! LOL! Moral of the story? When dining in Dao Xiang (and probably elsewhere in Hong Kong), always order less than what you think you can eat. Because the portion are usually huge, which I like of course! 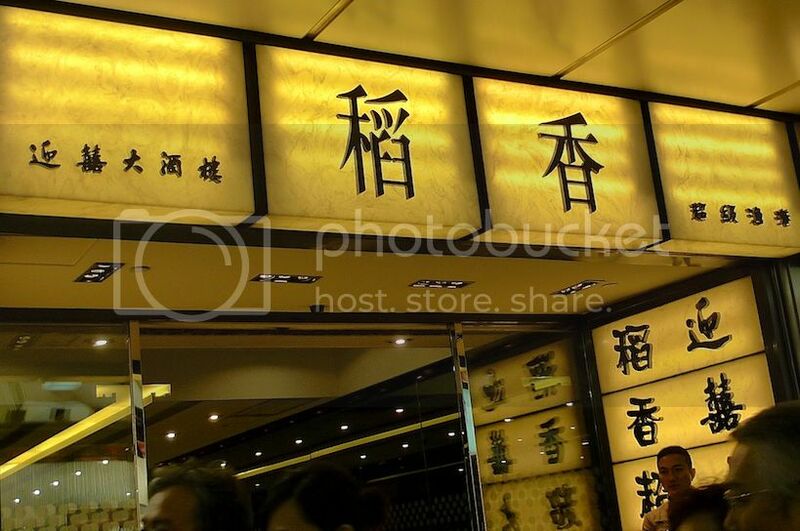 When I was in Hong Kong with my friend for a 6-day holiday trip last year, the one restaurant that we went to almost every night was Hui Lau Shan (許留山). 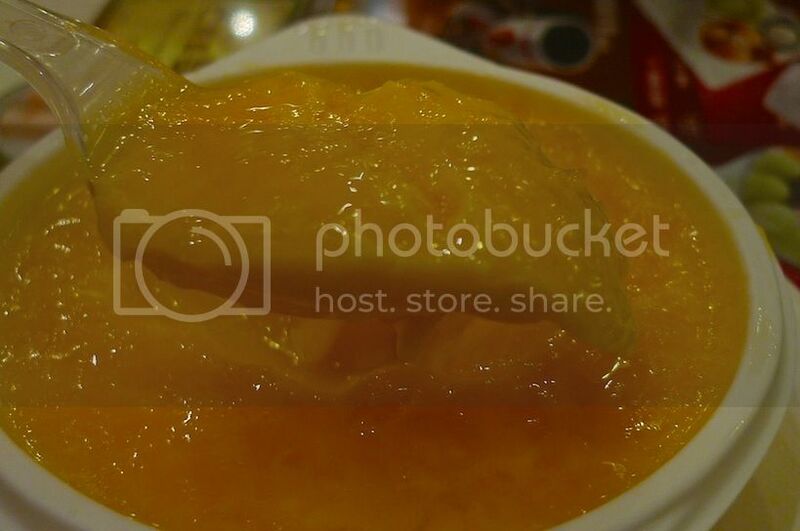 This famous dessert shop well known for its mango desserts, has many outlets and can be found almost everywhere in Hong Kong! In fact, Hui Lau Shan was ubiquitous in Mongkok where we stayed. Believe it or not, we could see this shop at almost every street! 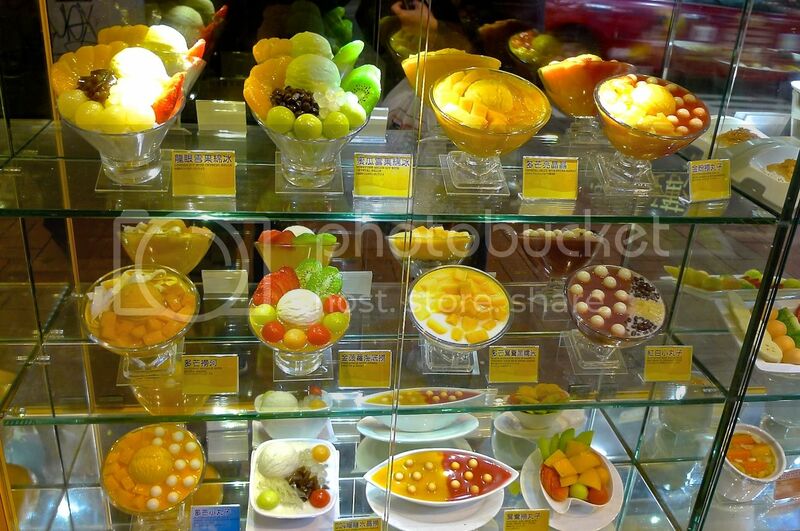 The glass display of their desserts were enough to attract me - a sweet tooth, a dessert lover and a mango lover all rolled into one - into their shop! 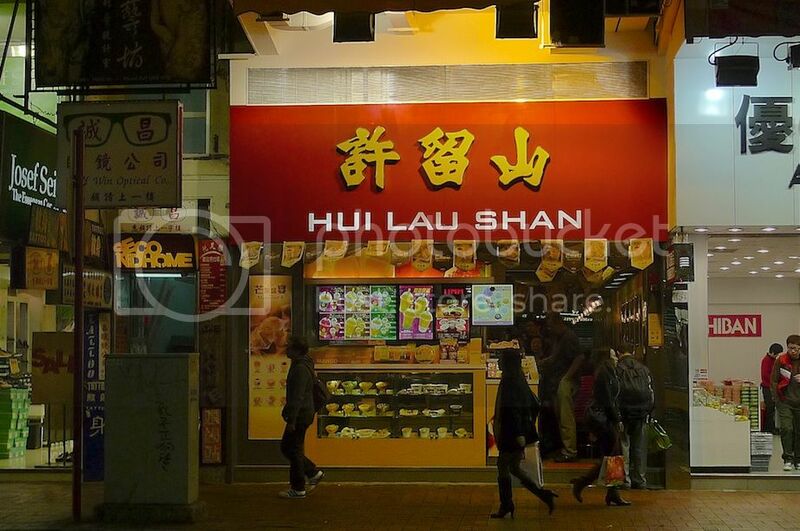 Now I know that Hui Lau Shan had opened several outlets in Malaysia since May this year. If you have eaten at the Malaysian outlets (especially at 1Utama and Pavilion) and were not impressed, I can assure you that the Hui Lau Shan outlets in Hong Kong are much better, though more expensive. 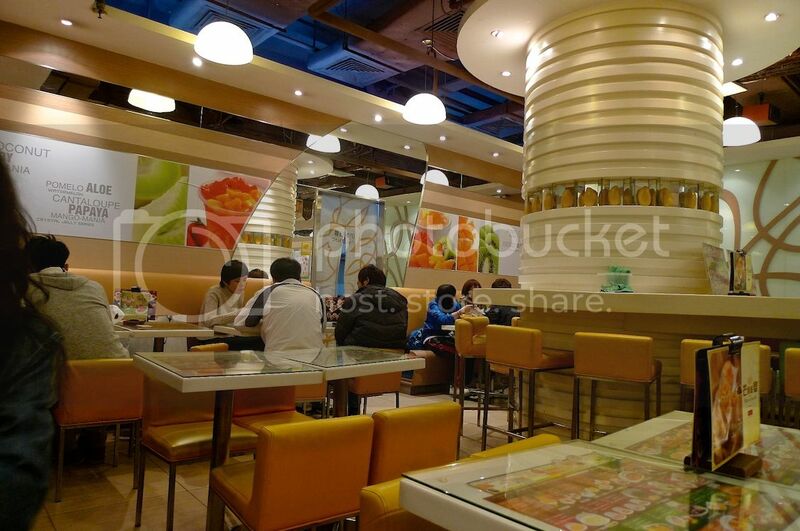 By the way, the dessert chain was named after a famous Chinese physician in ancient times. Originally, it was selling only herbal jelly and teas in the 1960's but fresh fruits and juices were added to the menu later. 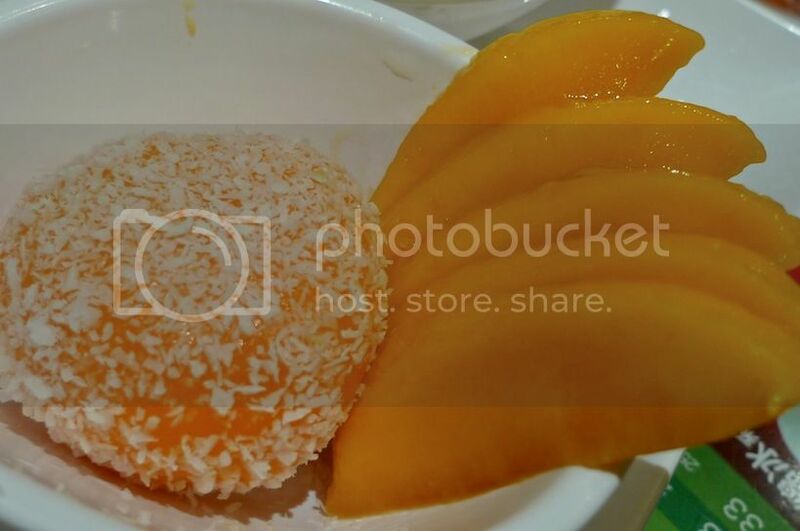 It was my first time ordering this glutinous rice balls in mango juice with extra mango fruits topped with mango ice cream. I fell in love with it immediately!! What stood out for me was the mango ice cream! It was one-of-a-kind and really delicious! I have no idea how they make this ice cream but you can actually taste the fibrous strands of real mango! It's like eating sorbet. 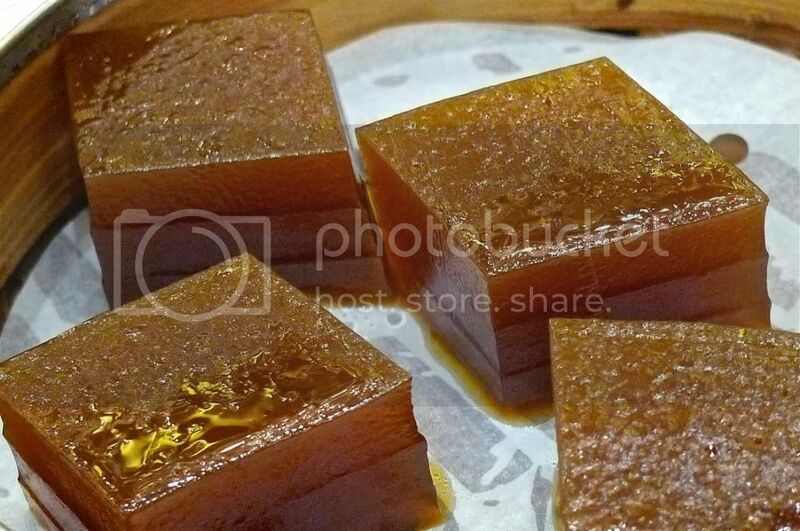 This is a MUST EAT if you decide to eat only ONE dessert at Hui Lau Shan! 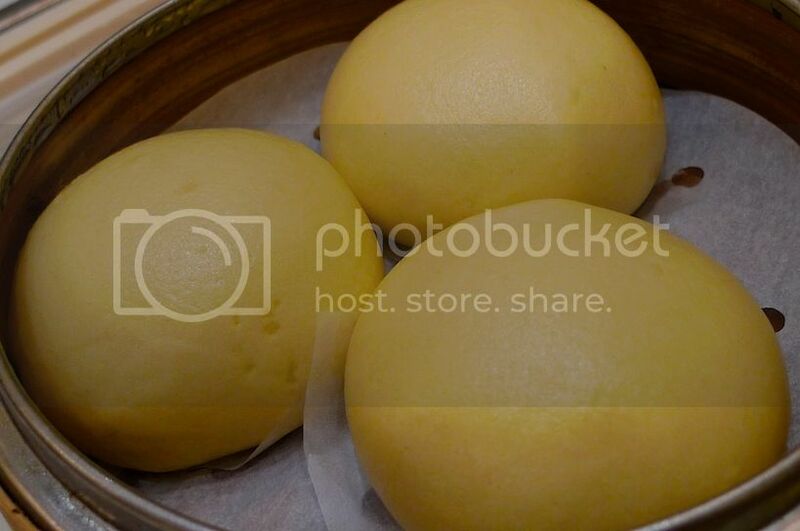 Sad to say, I tried this same dessert at Hui Lau Shan in Malaysia and was really disappointed with it. The Malaysian version seems to fall short in terms of quality and taste compared to their Hong Kong counterparts. Besides, I also found that the mango fruits used by Hui Lau Shan in Hong Kong were different from the ones used in Malaysian outlets. The Hong Kong mangoes were so much more aromatic, fresh and yummy! 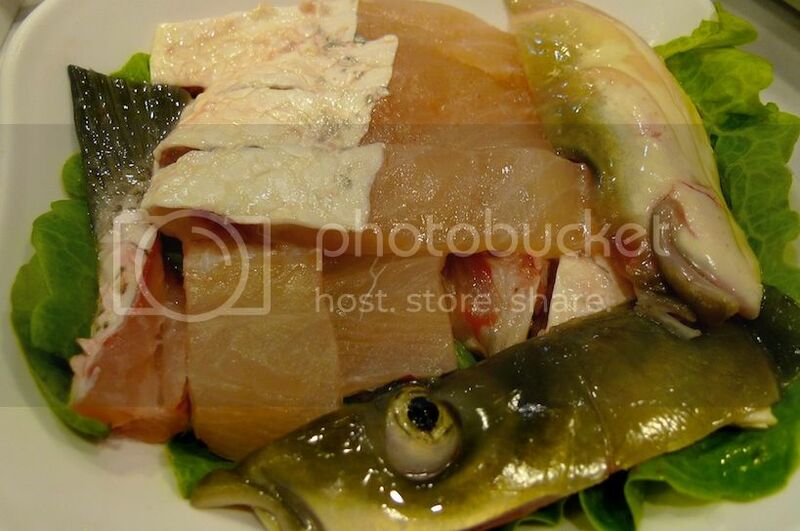 I remember eating this on my first night in Hong Kong. The weather was cold and both my friend and I were seated near the entrance of the shop where the cold wind kept blowing in. Brrrr!! Surprisingy, I enjoyed eating this cold dessert in the cold weather! 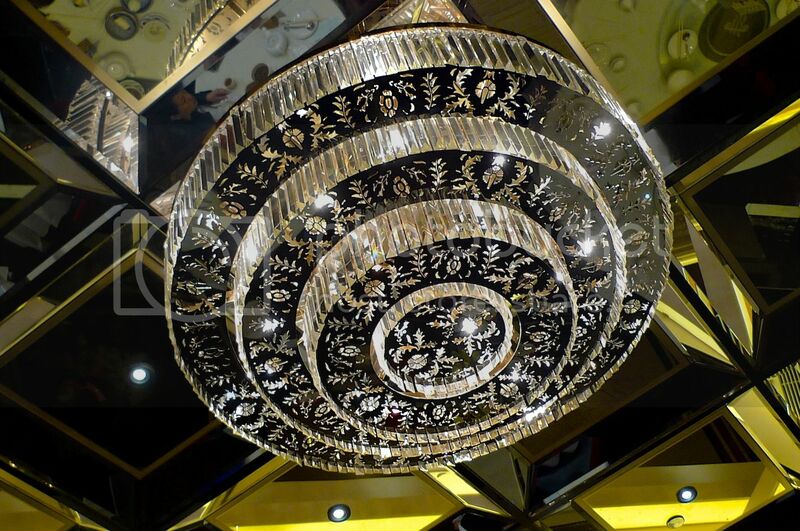 Read More > I Bought Something Naughty At The Ladies Market In Mongkok! 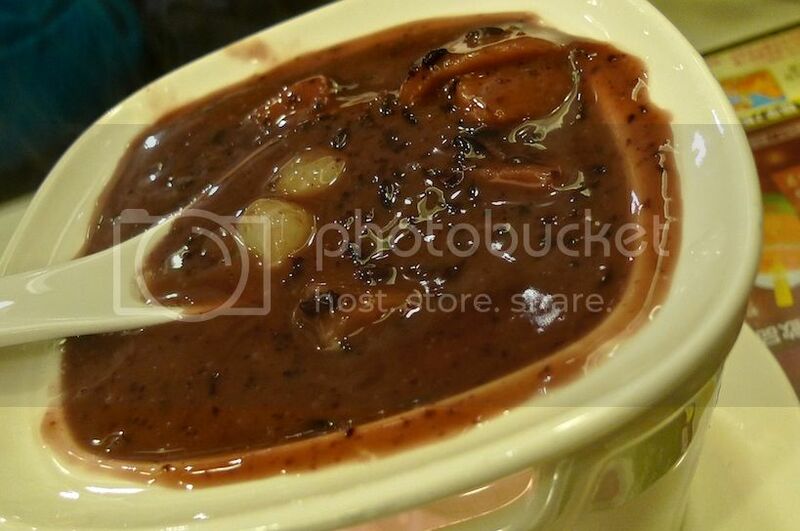 My friend however, could not quite take the cold and ordered a hot dessert in the form of black glutinous rice soup which came together with a radish cake. It's a good thing they have fire to keep the dessert warm. I tried some but found this dessert to be average. Probably not their specialty. I guess it's better to just stick to their mango desserts! We saw something unique in the menu and decided to try the mango mochi. They came in 3 pieces, each rolled in coconut. I took a bite and found the skin soft and chewy. However, I did not quite like the mango fillings inside - they were too solid. Perhaps we left them on the table for too long while enjoying our earlier desserts? 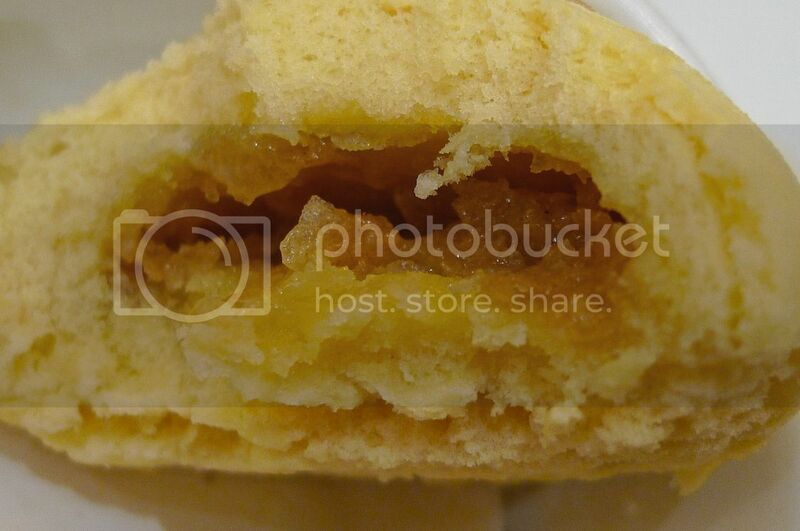 I had imagined biting into the mochi and sweet mango puree oozing out, but alas, that's just my fantasy! Haha! OK, I think my photo below just made it look worse! LOL! Overall, the desserts cost us HK$82 (US$10.60 / RM32) which was a little pricey but to me, it was money worth spending! We visited Hui Lau Shan again on another night (usually we did this after dinner) but at a different outlet. This time we ordered the Mango Platter. The Mango Platter consists of three different desserts but all involve my favourite aromatic mangoes! Yummy! The first is crystal jelly with mango and mango ice cream. 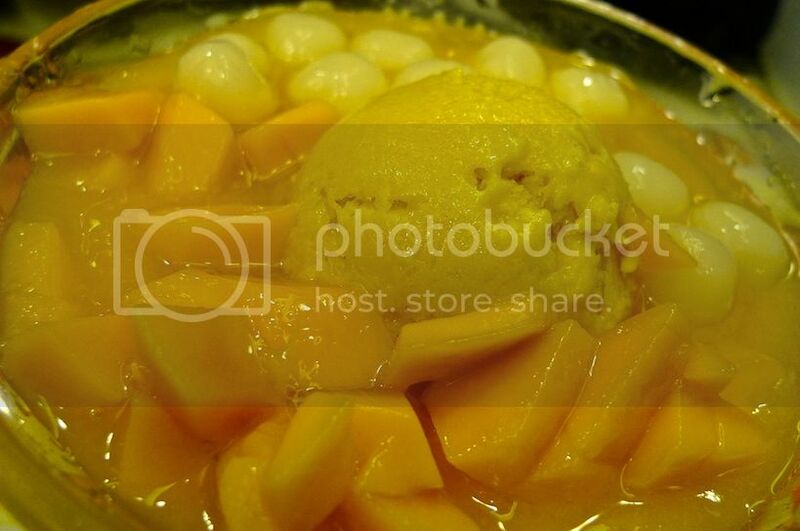 I love the ice cream and the mango fruits but not the crystal jelly. Somehow I felt the crystal jelly did not enhance the dessert - it actually made it worse. 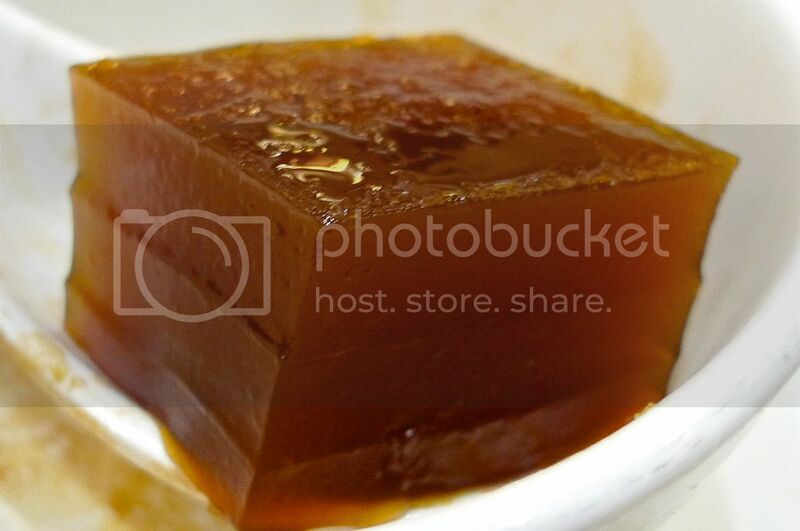 I really don't mind if they leave out the crystal jelly! 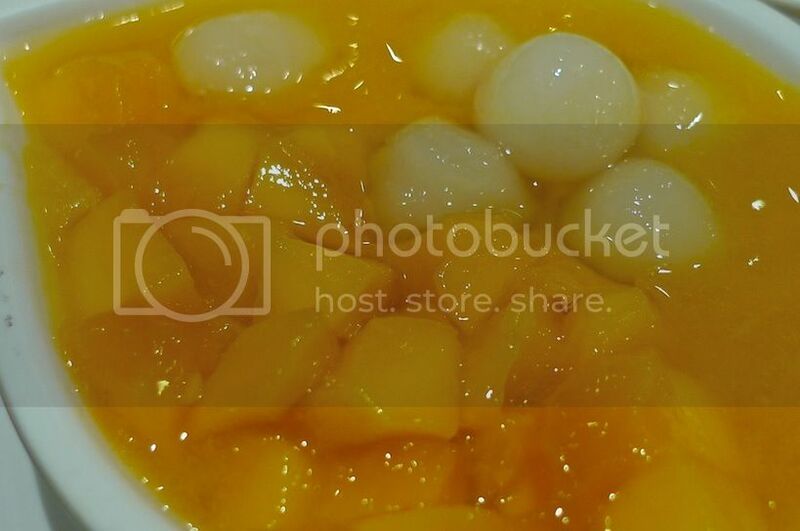 The second one is glutinous rice balls with mango in mango juice. I love the mango juice! So full of mango flavour!! But I did not quite like the glutinous rice balls. Perhaps they were too hard and starchy? 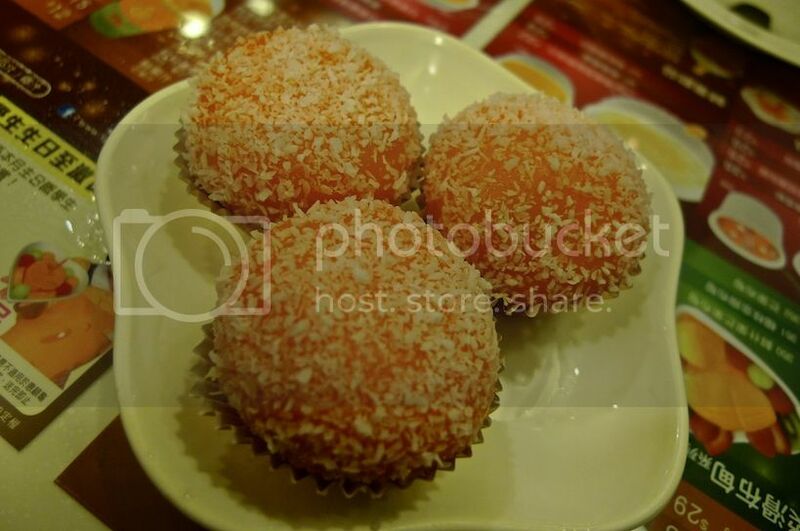 Maybe they should improve on the texture of these rice balls! 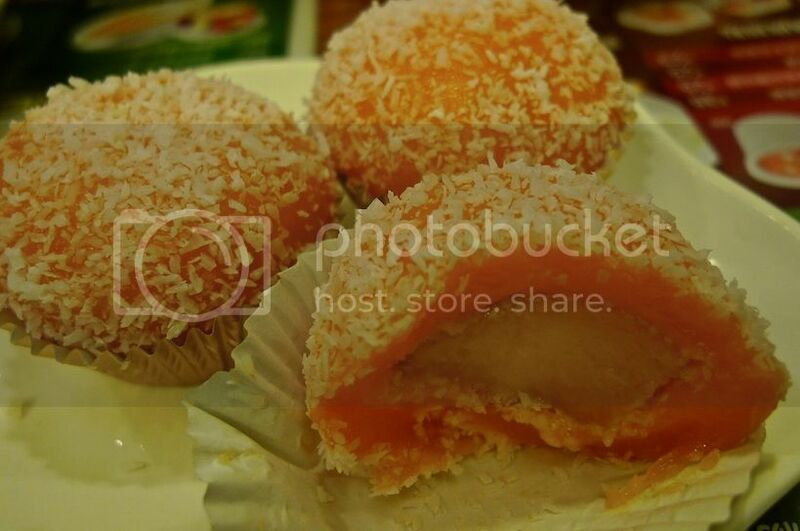 The third one is mango mochi with fresh mango. I have already mentioned about the mango mochi above, so I guess there's no need to repeat it. Not a fan of the mochi but love the aromatic mango slices! Yum! 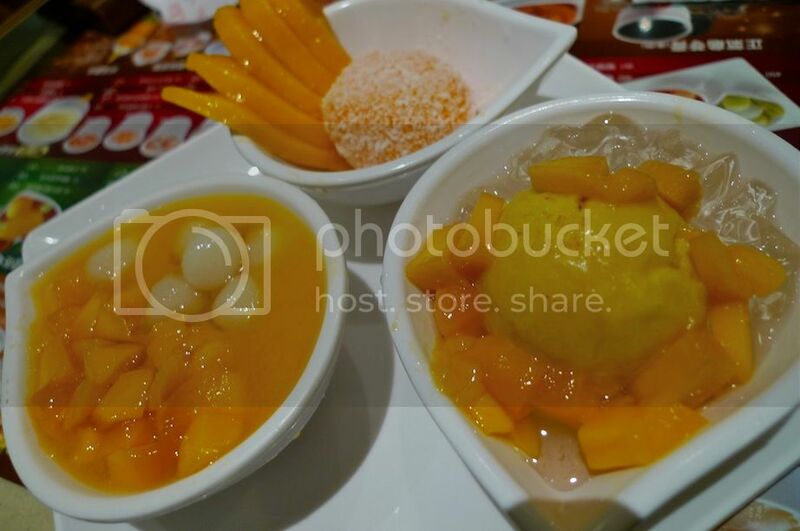 Besides the Mango Platter, we also ordered the sago in mango and coconut juice with pomelo and mango ice cream. This is another winner from Hui Lau Shan! I simply love it!! Maybe it's the mango ice cream (which to me is already the best mango ice cream in the world!) or it's the coconut juice that did it for me. 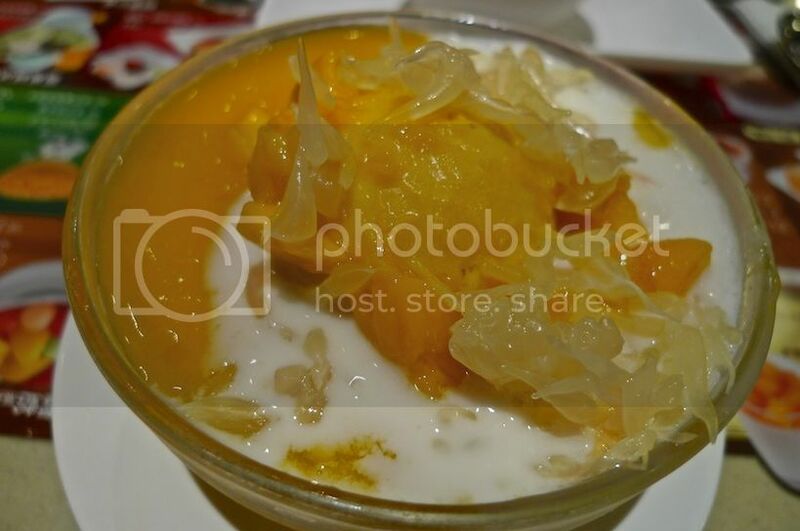 Or perhaps it's the combination of the sago, pomelo, mango juice, coconut juice and mango ice cream! In any case, the taste was simply delicious and refreshing! 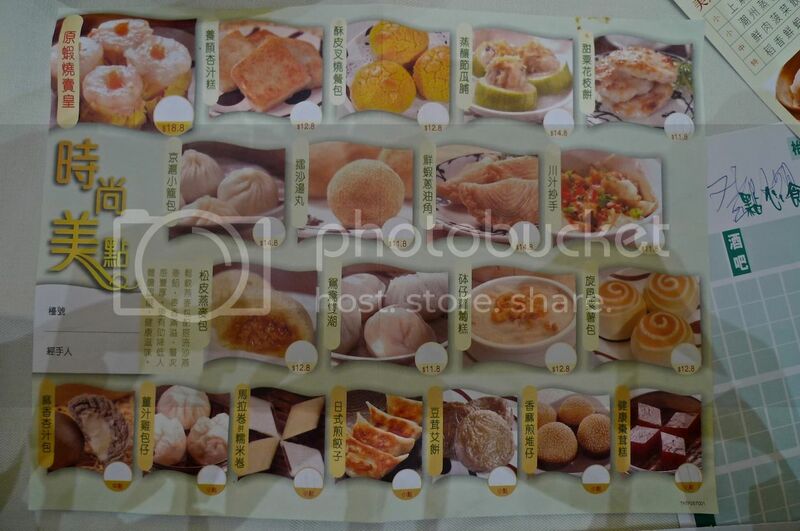 This time, the overall desserts cost us HK$68 (US$8.80 / RM27). Expensive, but worth it, at least to me! I managed to take a shot of the shop's interior. 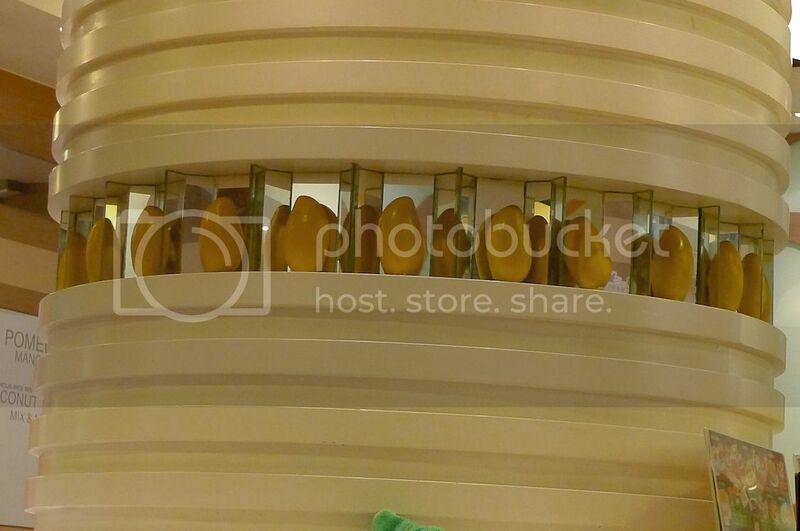 See those mangoes placed in the middle of the round pillar? Aren't they cute? My friend and I went to Hui Lau Shan again on another night. Yes, again. How could we not? 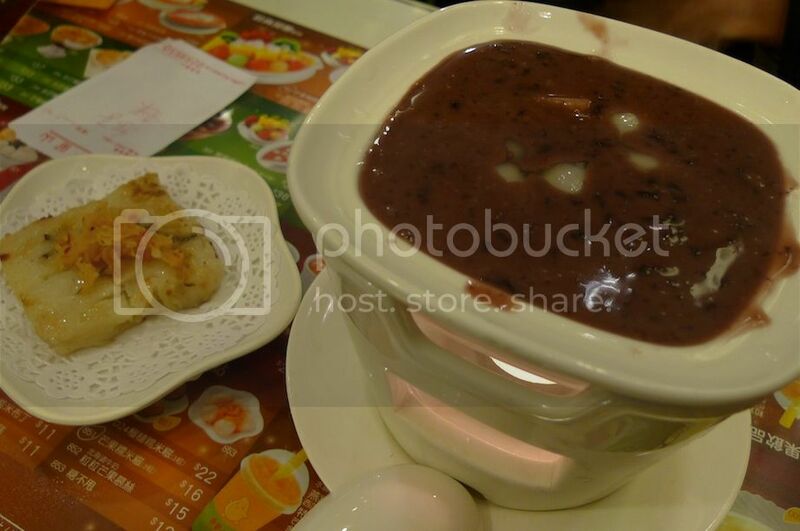 But this time, we were too full after dinner and decided to order just one item - birds nest with egg. 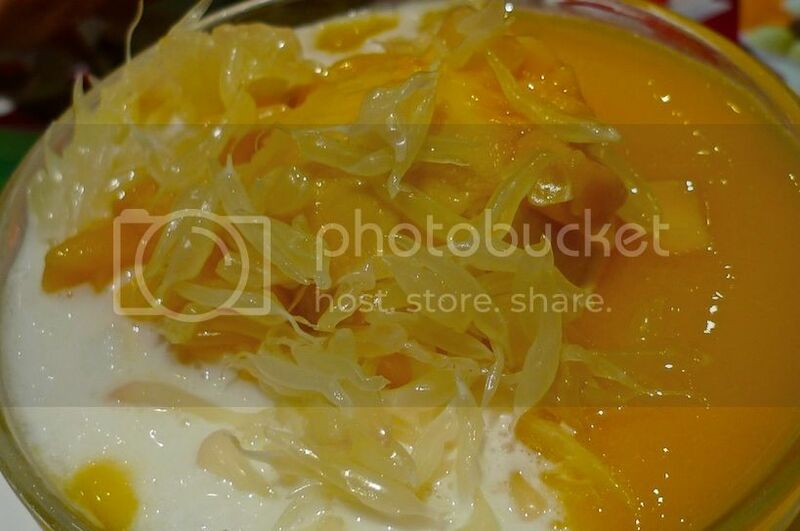 It tasted pretty good with aromatic mango flavour and the birds nest and egg made it smooth and delicious. 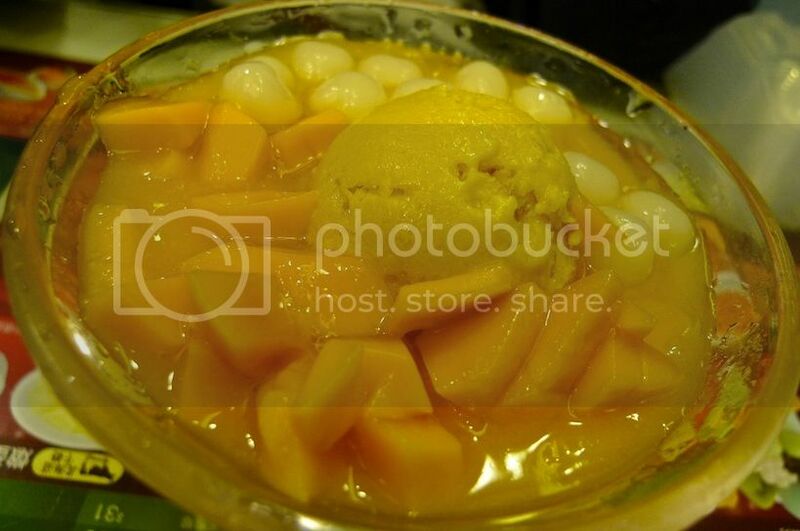 Priced at HK$29 (US$3.80 / RM11.30), this dessert was the last that I ate at Hui Lau Shan in Hong Kong. 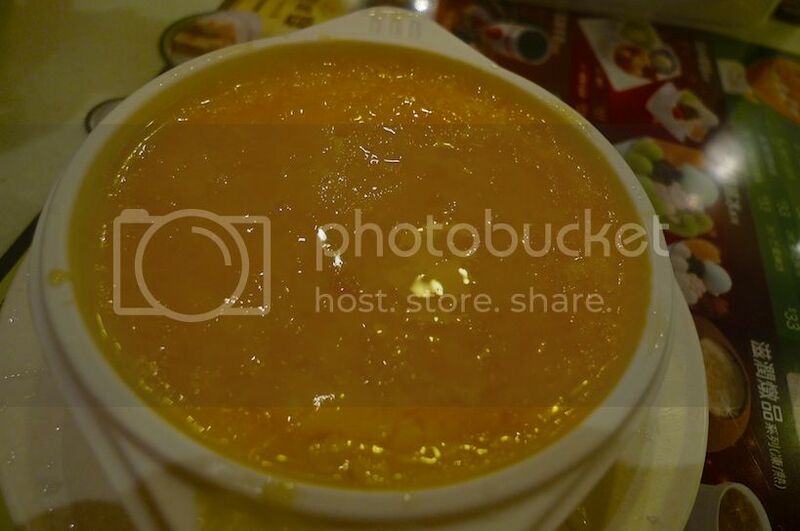 When I returned to Malaysia, I could not stop craving for these mango desserts. 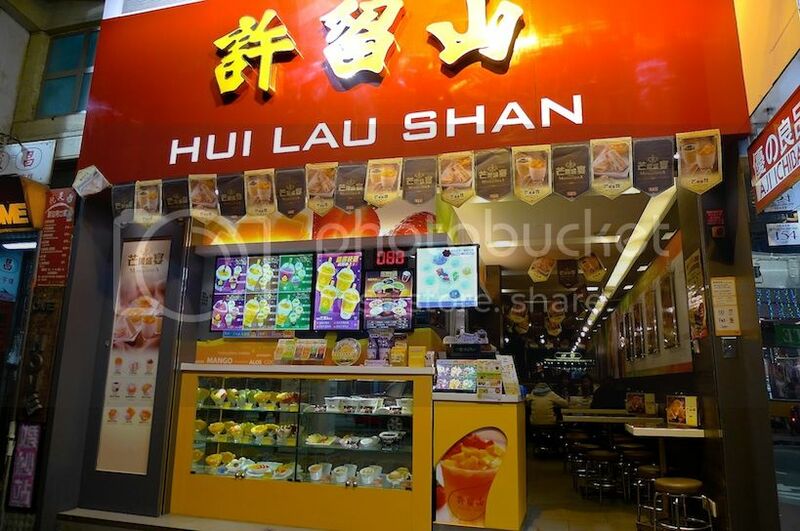 Imagine my joy when I heard that Hui Lau Shan would be opening their outlets here in Malaysia! 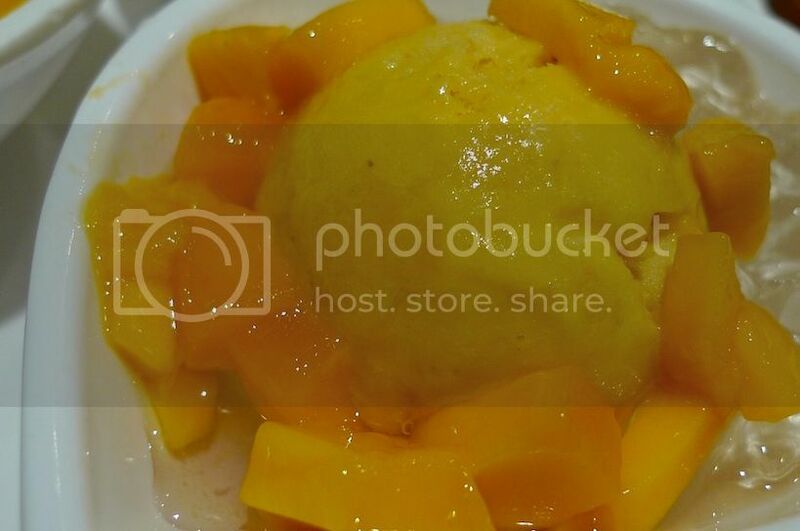 Unfortunately, after trying out the outlets here, I have to say that if I really want to enjoy that yummy mango ice cream again, I will have no choice but to fly all the way to Hui Lau Shan in Hong Kong. Maybe, just maybe, I should start planning for another trip to Hong Kong!